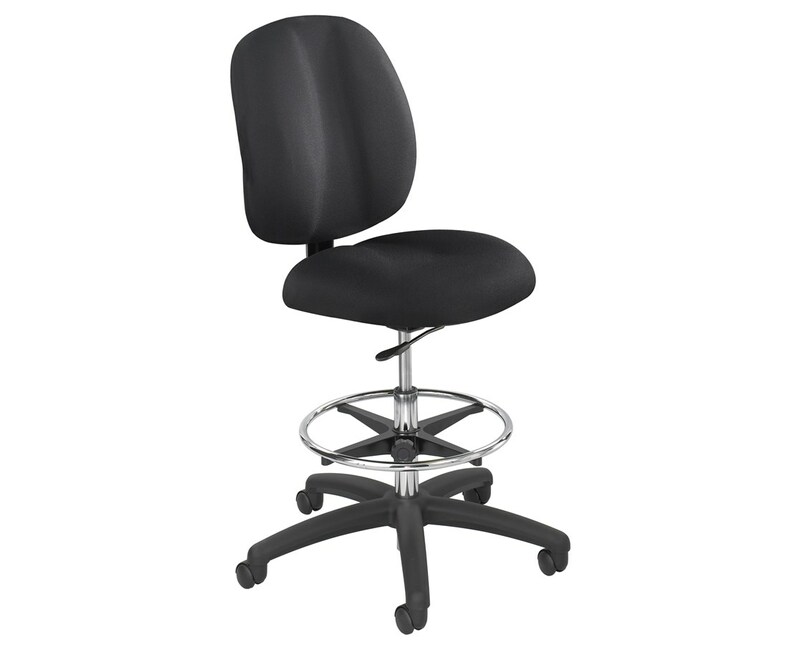 The Safco Apprentice II Extended-Height Chair is a durable professional-looking chair that provides the utmost in cushiony comfort. 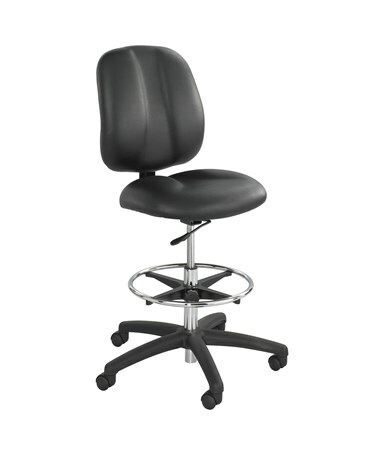 It has a weight capacity of 250 pounds and a number of adjustability features for maximum comfort. The back features a built-in lower back support, while the seat cushion has a curved “waterfall” front edge that helps take the pressure off the backs the legs and maintain blood good circulation. Both are contoured to support and cradle the body. The chair’s height is extendable from 44.5 to 54 inches. The back is also height adjustable, and so is the seat, which can be set from 23 to 33 inches with the pneumatic control lever. The seat can also swivel a full 360 degrees. A steel foot ring is included to serve as a footrest and five two-inch dual wheel hooded carpet casters are added to the base to provide smooth mobility. 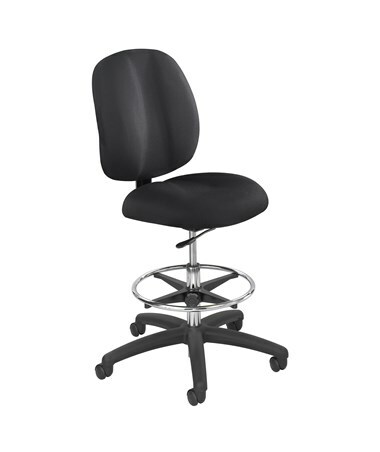 This drafting chair’s seat and back are made of nylon with a foam cushion and either a fabric or vinyl upholstery. The base is also made of nylon, while the frame and the foot ring are made of steel with a chrome finish. 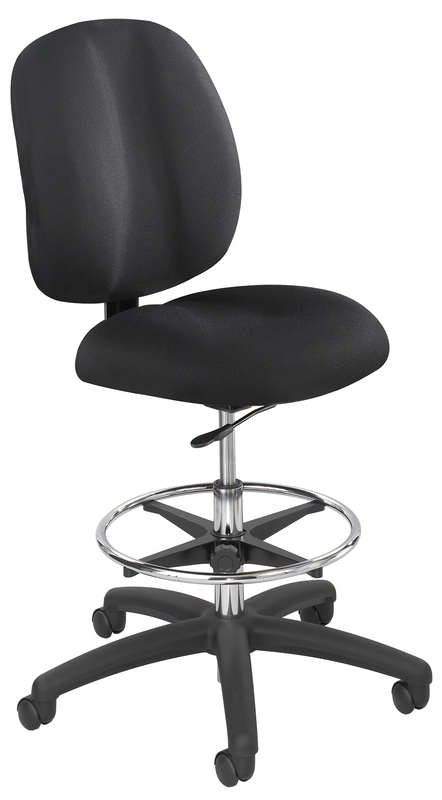 This chair meets ANSI/BIFMA safety standards and is GREENGUARD certified for low chemical emissions. 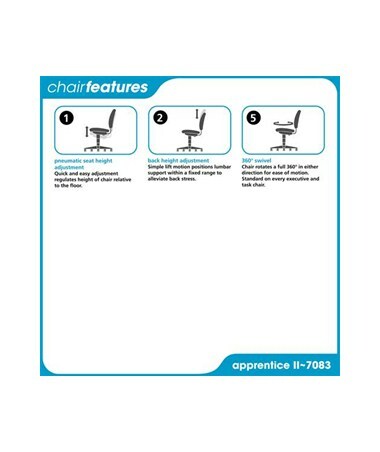 The Safco Apprentice II Drafting Chair is available in two different upholsteries. Please select your preference from the drop-down menu. Extendable height of 44 ½" to 54"
Height 44 ½" to 54"